The use of helicopters in fire suppression and management. …The NTSB documented at least 240 texts sent and received by the pilot during his shift the day of the accident, according to records cited by Bill Bramble, an NTSB investigator. There were 20 such texts with a coworker before and during the accident, the safety board found. The National Transportation Safety Board has released the cause of the crash of an EMS helicopter August 26, 2011 near Mosby, Missouri. The agency’s report concludes the crash, which killed the pilot, flight nurse, flight paramedic and patient, occurred because the helicopter ran out of fuel and the failure of the pilot to execute a successful autorotation. The finding about the possible reason for the autorotation failure after the engine failure at cruise speed may have implications for other pilots. WASHINGTON — A pilot’s decision to depart on a mission despite a critically low fuel level as well as his inability to perform a crucial flight maneuver following the engine flameout from fuel exhaustion was the probable cause of an emergency medical services helicopter accident that killed four in Missouri, the National Transportation Safety Board said today. K-MAX at Sandy, Utah. Screen grab from KSL video. A K-MAX helicopter is being used in an urban area near Sandy, Utah to haul away brush and trees that hand crews cut in an area near homes. Thanks to a $300,000 grant from the U.S. Forest Service, the crews spent about 800 hours cutting and spraying brush to reduce the threat from wildfires. KSL has a video and still images of the project. Columbia Helicopters has taken delivery of the first three of ten heavy lift helicopters purchased from the Swedish Department of Defense. The total order includes six Boeing Vertol 107-II and four Kawasaki Vertol 107-II models. The price was not disclosed. According to Columbia Helicopter’s Public Relations Manager Dan Sweet, the three Boeing Vertol 107-II helicopters arrived at the Port of Tacoma, Washington March 25, after which they were loaded onto trucks for transshipment to the company’s headquarters and maintenance facility in Aurora, Oregon. The remaining three Boeing helicopters are ready to be shipped from Sweden, while shipping dates for the four Kawasaki Vertol V-II aircraft have not been determined. Columbia Helicopters announced the purchase of the helicopters, spare parts and specialized support tooling in February of this year, following negotiations with the Swedish government in late 2012. Designated by Sweden as HkP-4s, the helicopters were operated in search and rescue, anti-submarine warfare, and mine-sweeping operations. With the Columbia Helicopters acquisition, Sweden’s military has retired its remaining Boeing/Kawaski Vertol V-IIs, as it transitions to the more modern NH Industries-built NH90. 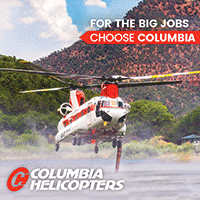 Columbia Helicopters will refurbish and modify each helicopter to meet the operator’s fleet standards, and bring them up to mission-ready status for heavy lift work and aerial firefighting. One of the newly arrived helicopters, in fact, will go into Columbia’s maintenance shop upon arrival, while the others will by cycled through as capacity permits. Erickson to buy Evergreen Helicopters, Inc.
As we reported on Wildfire Today earlier this afternoon, Erickson Air-Crane, Inc. has signed an agreement to purchase Evergreen Helicopters, Inc., a company with approximately 400 employees. This will be the second major acquisition Erickson has made in the last three months. In November they reached an agreement to buy Air Amazonia, a subsidiary of HRT Participacoes in Brazil, along with their 14 helicopters. Both acquisitions are expected to close in the second quarter of this year. For the $250 million price tag, Erickson will get 52 helicopters and 12 fixed wing aircraft from Evergreen Helicopters. The 64 aircraft are a mix of leased and owned. 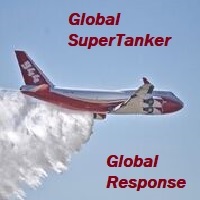 Evergreen’s 747 “Supertanker”, which can carry up to 20,000 gallons of fire retardant, is not part of the deal and will remain with Evergreen. The 747 is still configured as an air tanker but has not fought fire recently. 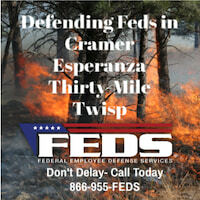 The company has not been interested in accepting the U.S. Forest Service’s only offer of a call when needed contract. From Air Amazonia Erickson will receive 14 passenger transport and medium-lift helicopters, (7) S-61, (5) Bell 212, and (2) A350 that have been used in the oil and gas industry. At this time Erickson has no plans to use the Amazonia helicopters for aerial fire suppression. Erickson Air-Crane, headquartered in Portland, Oregon, for decades has built, operated, and sold Erickson S-64 heavy-lift helicopters, using a license acquired from Sikorsky. 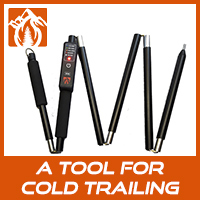 Up through 2007 the company concentrated on firefighting (53% of their business) and timber harvesting (38%). With the planned diversification the company expects to add contracts for Department of Defense work amounting to approximately 43% of their revenue, as well as increasing the oil and gas component. They think that about 30% of their work will be in Afghanistan. 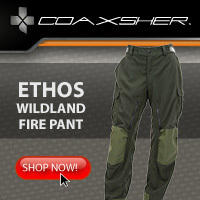 After the acquisitions, firefighting will provide about 19% of Evergreen’s revenue. In 2012, the company generated revenues of $180.8 million, up 18.4% year over year. 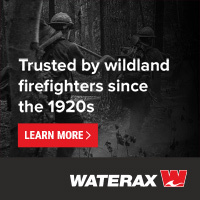 The increase in revenue was driven by new firefighting contracts, an active fire season and the company’s expansion of infrastructure construction, especially in support of the oil-and-gas market in South America. Maybe we’re entering a period of merger-mania. 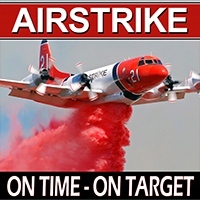 As we reported December 12, 2012, Aero Air of Hillsboro, Oregon, purchased the air tanker operations of Butler Aircraft from Travis Garnick. 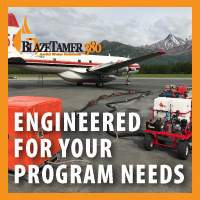 Aero Air acquired Butler’s three DC-7 air tankers, support equipment, and spare parts in Madras, Oregon. Kevin McCullough, now the President of Aero Air, and Jack Erickson, founder and former owner of Erickson Air-Crane, became co-owners of Aero Air in 1998. Aero Air is currently converting some MD-87s into air tankers and hopes to snag a contract for “next-generation” air tankers, when and if the U.S. Forest Service ever issues the contracts. 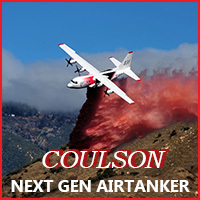 It has been 476 days since the U.S. Forest Service issued a solicitation for next-generation large air tankers, but no contracts have been awarded. Below are examples of the aircraft Erickson will be acquiring. Author Bill GabbertPosted on March 20, 2013 January 8, 2014 Categories HelicoptersTags 747, Erickson, Erickson Aero Tanker, Evergreen2 Comments on Erickson to buy Evergreen Helicopters, Inc.
Over on Wildfire Today we have the news about two former employees of Carson Helicopters being indicted by a federal grand jury over charges related to the crash of a Sikorsky S-61N helicopter on the Iron 44 fire in northern California in 2008 that killed nine people, including seven firefighters and two crew members. According to the National Park Service’s Facebook page, the Grand Canyon National Park Helicopter made the cover of the FAA’s Helicopter Flying Handbook. It is interesting that the FAA Photoshopped-off the N-number and other identification. Below is an NPS photo of the ship taken from Grand Canyon’s brochure for their Helicopter Training Academy. The folks at the National Interagency Fire Center uploaded another video today. This one is about working with helicopters and stars Cathy Barta, a Bureau of Land Management Helicopter Crew Supervisor at Lewiston, Montana. 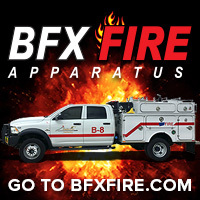 Today the folks at the National Interagency Fire Center uploaded a video that covers air to ground communication and tips about working with Air Attack and aerial resources. It stars Gil Dustin, the Bureau of Land Management Air Attack Program Manager.